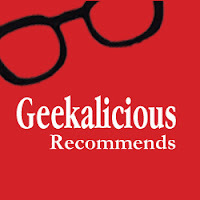 Geekalicious Recommends... is branching out and incorporating products that I have tried and loved. I was recently sent a Seagate Backup Plus (500GB) to try as an external hard drive and backup facility and literally had to wrestle it out of my husband's hands. Seagate have been the leader in technology for over thirty years and with digital home entertainment on the increase we have a large amount of technology at home including desktop computers, laptops, tablets and smartphones. 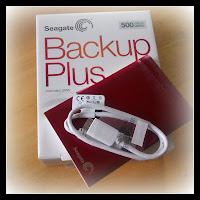 What's different about the Seagate Backup Plus is that whilst using it as a traditional external hard drive, you can also sync it to your social media channels such as Facebook and Flickr so that you can save images uploaded on the move. The set-up process is very easy and comes with four video tutorials that are no longer than a couple minutes in length each. Once the set-up process is complete, you can share images from the device to the integrated social media channels and create an album with one click. My current set up is synced to my laptop and I have created folders for work and for personal use. If you keep the hard drive connected to your main computer you can set the sync to specific intervals (daily, weekly, etc). However, I have created folders for each member in our house and, subsequently, each of their devices. This allows us all to be able to backup our data and to save our own photographs from Facebook. With this external hard drive you are also provided with one year's free 'cloud' storage which can be extended and/or increased at any time. I'm loving this back-up process as it's so easy to use but what I would like to see in further models is Instagram and Google (Picasa) album integration as these are the image channels I use currently. What sort of back-up device do you use? 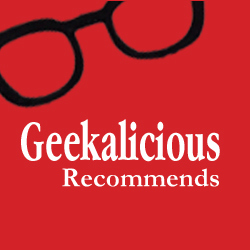 Do you have a portable back-up system or something else? Let me know in the comments.